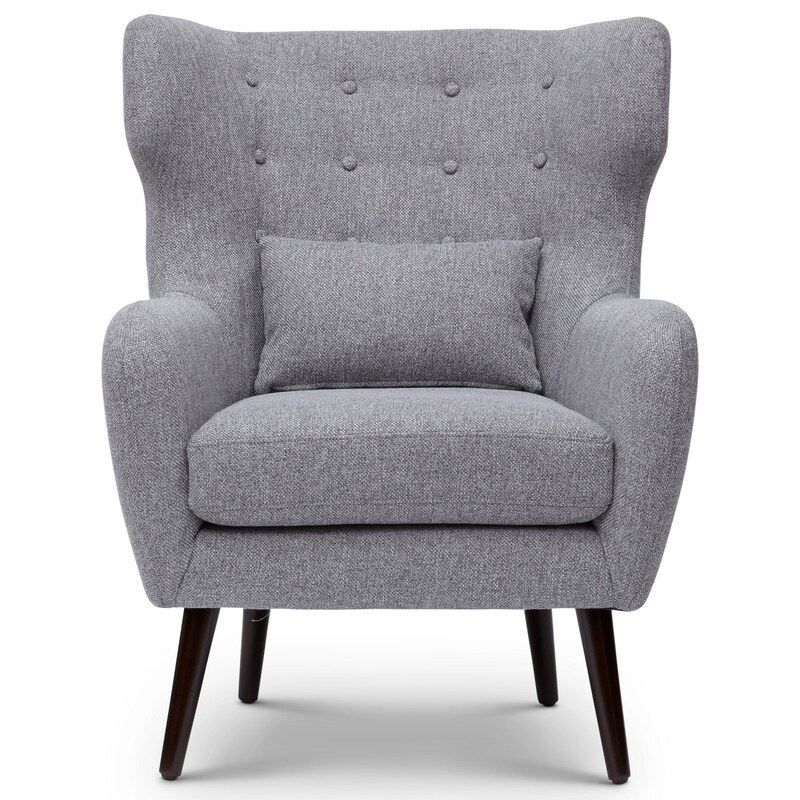 Bring mid-century modern style into your home with the Ava accent chair. Available in both blue and grey tweed-look upholstery, the deep seat is comfortable and inviting. Kidney pillow included. The Accent Chairs Ava Mid Century Modern Accent Chair by Jofran at Stoney Creek Furniture in the Toronto, Hamilton, Vaughan, Stoney Creek, Ontario area. Product availability may vary. Contact us for the most current availability on this product. Pillow Kidney pillow included. Dimensions: 15"W x 9"H.
The Accent Chairs collection is a great option if you are looking for Mid-Century Modern Contemporary furniture in the Toronto, Hamilton, Vaughan, Stoney Creek, Ontario area.